Is your vehicle making thudding noises? If so, your drive shaft could very well be in need of a repair. While other damaged car components can make these noises, an impaired drive shaft is one of the most common causes. This noise generally presents itself when your U-joints become damaged. Typically, after years of wear and tear, they eventually snap, leaving your drive shaft vulnerable to further damage. This is not something you’ll want to ignore. Driving on broken U-joints can eventually cause irreparable damage to your vehicle. Thudding noises aren’t the only noises that come about due to a damaged drive shaft. Squeaking noises are also common. Though squeaking noises can come from a variety of damaged components, they frequently come from the drive. In particular, they come from deteriorated U-joints. Regardless of where they’re coming from, if you hear squeaking noises, it’s recommended that you have your vehicle checked out by a mechanic as soon as possible. If the problem isn’t with your drive shaft, it could be with your brake pads. When operating correctly, your vehicle should be very easy to turn. You should only have to apply a slight bit of pressure against the steering wheel in order to make a turn to the left or to the right. If you’re applying anything more than a slight bit of pressure, problems have likely arisen. In all likelihood, these problems have to do with the drive shaft. Because the drive shaft is a key component in the turning or your vehicle’s wheels, its impairment almost always spells bad news. Fortunately, an experienced mechanic can inspect it, and can typically repair any damages that might exist. Every vehicle vibrates to some extent. However, if your vehicle is vibrating violently, you likely have a serious problem. While plenty of problems can cause a car to vibrate excessively, a common culprit is the drive shaft. 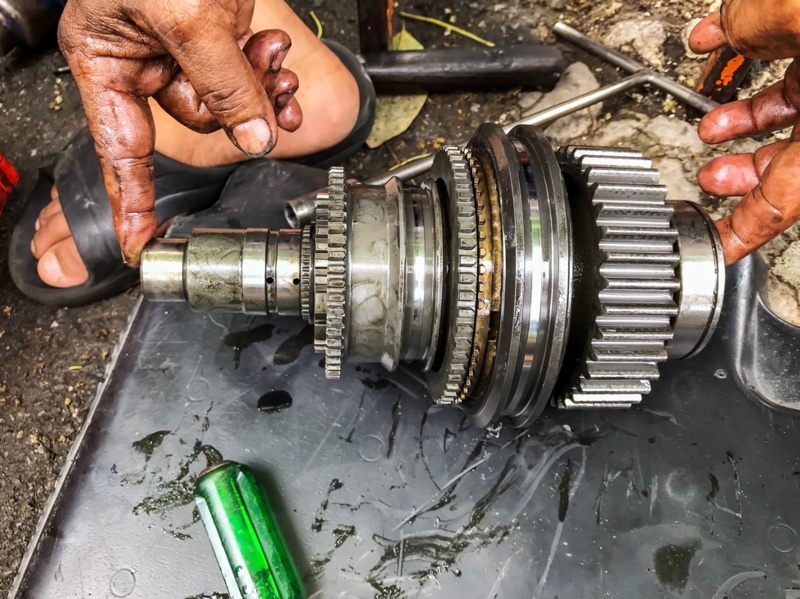 When a drive shaft becomes impaired, it results in a vibration that seems to come up from the bottom of the vehicle, rumbling through the front seat. If your vehicle is vibrating in this manner, it’s strongly recommended that you have it looked at. Taking it in to be seen by a professional mechanic is the best way to avoid bigger problems down the line. Do You Require Drive Shaft Repair in Glendale Heights? Is your vehicle vibrating violently? Are you having trouble completing turns? In need of drive shaft repair in Glendale Heights, Illinois? If so, King Transmission Company has you covered. We are the premier transmission repair shop in the Glendale Heights area. Featuring a team of highly-skilled and experienced mechanics, we are well-versed in all things drive shafts. Contact us today to schedule an appointment!